VANCOUVER, British Columbia — Secretary of State Rex Tillerson called on Tuesday for nations to step up the U.S.-led “maximum pressure” campaign against North Korea by thwarting efforts to evade sanctions and interdicting ships conducting illicit trade with the pariah nation. The uncompromising message, delivered to a gathering of 20 nations that were on America’s side during the Korean War, was coupled with skepticism among the allies over North Korea’s sincerity in its recent diplomatic opening with the U.S.-allied South. 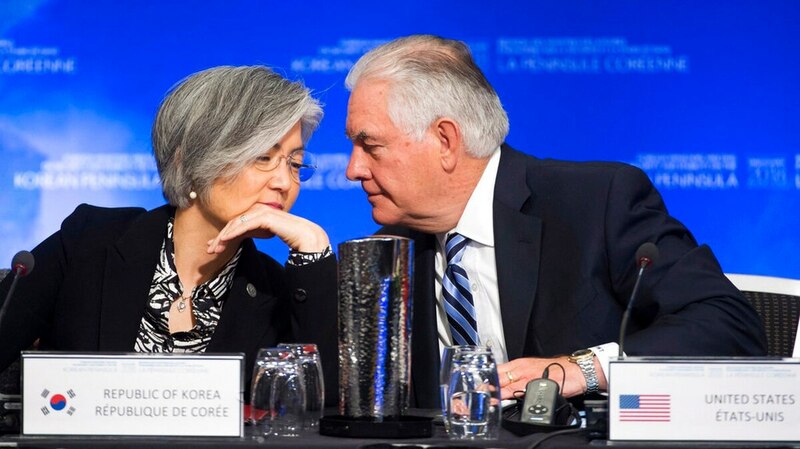 “We must increase the costs of the regime’s behavior to the point that North Korea must come to the table for credible negotiations,” Tillerson said in his opening remarks at the meeting on Canada’s western coast. The meeting convened days after a mistaken missile alert caused panic on Hawaii, a stark reminder of the fears of conflict with the North. “We will not allow North Korea to drive a wedge through our resolve or solidarity,” Tillerson said. Gov. David Ige has appointed a state Army National Guard official to oversee a review of Hawaii’s emergency management process after a faulty alert was sent to cellphones around the state warning of an incoming missile attack last weekend. The meeting was attended by foreign ministers and senior diplomats of nations that sent troops or humanitarian aid to the U.N. Command that supported South Korea in the fight against the communist North and its allies during the 1950-53 Korean War. It’s a diverse gathering of mostly European and Asian nations, as well as Australia, New Zealand and Colombia. The delegates were briefed Monday night by Defense Secretary Jim Mattis. A senior State Department official described that as a chance to demonstrate that U.S. has an integrated strategy and to raise confidence that it definitely prefers a diplomatic solution over resorting to military action. The official was not authorized to speak publicly about the briefing and requested anonymity. 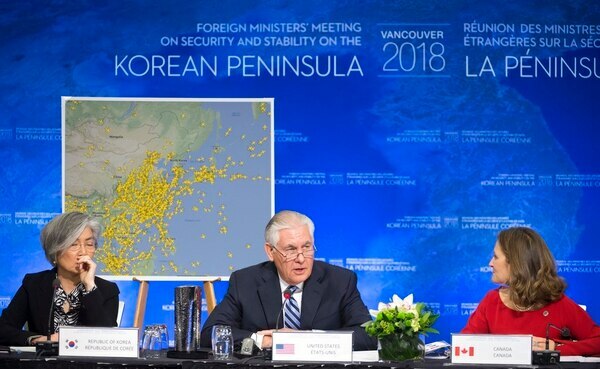 The gathering, co-hosted by Canada and the U.S., appeared unlikely to have concrete outcomes and was principally intended as a show of solidarity against a nuclear-armed North Korea. But it alienated China and Russia, which fought on the communist side in the war and were not invited. U.S. officials say they will be briefed afterward. According to the news agency Tass, Russian Foreign Minister Sergei Lavrov on Monday called the meeting “unacceptable” and “destructive.” Chinese Foreign Ministry spokesman Lu Kang said a meeting that “doesn’t include important parties to the Korean peninsula nuclear issue” cannot help resolve it. Both nations have supported U.N. Security Council resolutions to restrict revenue for North Korean nuclear and missile development. Tillerson called for China and Russia to fully implement the sanctions. He reiterated U.S. opposition to their idea of a “freeze-for-freeze,” whereby the U.S.-South Korea military exercises would halt in exchange for suspension of the North’s nuclear programs. He said all nations must work together to improve maritime interdiction operations and stop illicit ship-to-ship transfers that violate U.N. sanctions. The U.S. has previously highlighted efforts by North Korea to circumvent restrictions on supplies of oil and petroleum products, most of which are supplied by China. The latest U.N. Security Council resolution, adopted in December in response to an ICBM test, calls on member states to impound vessels in their ports if there are reasonable grounds to suspect illicit trade with North Korea. It authorizes interdictions in a member state’s territorial waters. Tillerson also highlighted how North Korean missile tests pose a threat to civilian air traffic in the busy skies above East Asia. “North Korea’s willingness to launch missiles at any time presents a threat to people of all nationalities in the region’s airspace each day,” he said. Despite Washington’s tough stance and determination to keep up the pressure on North Korea, President Donald Trump has signaled openness to talks with North under the right circumstances. After months of insults and blood-curdling threats he’s traded with Kim, Trump suggested in an interview last week that the two leaders could have a positive relationship. But Kim shows no sign of making concessions toward Washington as his totalitarian government comes close to perfecting a nuclear-tipped missile that could strike the United States.